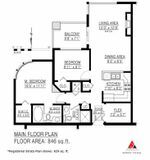 DELANO by Polygon - top floor 2 bedroom, 2 bathroom, plus flex/den area! 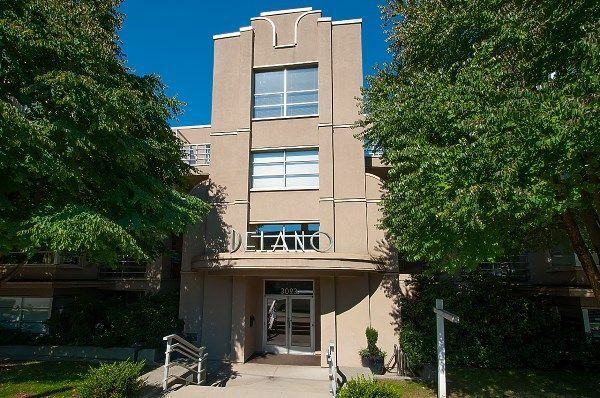 This south/east corner suite boasts extra height ceiling in living room, gas fireplace, open kitchen with updated appliances, insuite laundry, walk-in closet in master bedroom, skylight in entry area, large open balcony. Locker and underground parking included. Rainscreened building, pet friendly (2 dogs/cats okay) rentals permitted. Great "North of 4th Location", close to beach and shopping.